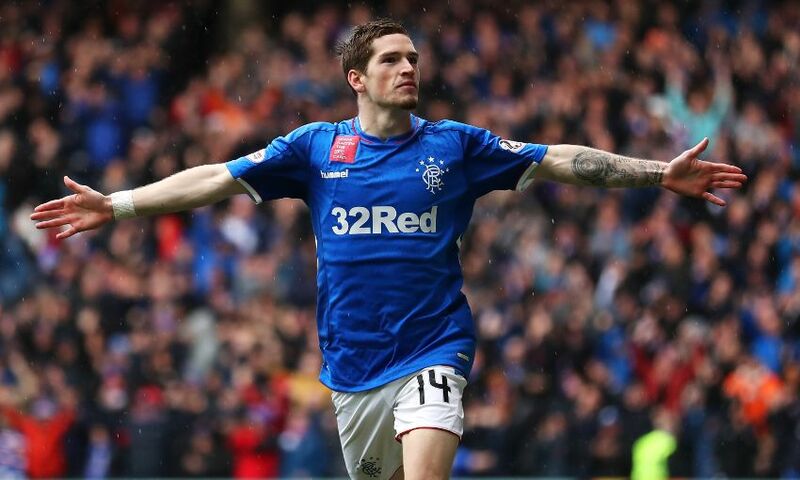 Steven Gerrard was delighted by another 'top drawer' performance from Ryan Kent in Rangers' 3-1 victory over Hearts on Sunday. The on-loan Liverpool winger, who played the full game, helped his team on their way to three points with the opening goal three minutes into the encounter at Ibrox. “His performances have been really good and they’ve got stronger as we’ve gone on. The last two have been right up there in the top drawer,” said Rangers boss and Reds legend Gerrard. “He deserved man of the match today, he deserved his goal and I’m pleased for him. Ovie Ejaria also started the match against the league leaders and featured for 66 minutes. On Saturday in the Scottish Premiership, Adam Bogdan completed the game as second-placed Hibernian moved within two points of the summit by thrashing Hamilton Academical 6-0. Harry Wilson came off the bench 54 minutes into Derby County’s 1-1 Championship draw with Queens Park Rangers, Herbie Kane was in the Doncaster Rovers team beaten 4-0 by Fleetwood Town, and Corey Whelan played the whole of Crewe Alexandra’s 1-0 defeat at Lincoln City. Sheyi Ojo was a 78th-minute substitute in Stade de Reims’ goalless draw with Nimes in Ligue 1. On Sunday, Allan Rodrigues de Souza was involved for the first half of Eintracht Frankfurt’s 2-1 victory at Hoffenheim in the Bundesliga. Loris Karius featured for the whole match as Besiktas, who played with 10 men for more than an hour, were held to a 2-2 draw by Konyaspor after conceding a last-minute equaliser. In Belgium, Taiwo Awoniyi played for 66 minutes in Gent’s 5-1 home defeat by Genk.